Has Dodd–Frank affected bank expenses? This paper examines the potential effects of the Dodd–Frank Act of 2010 on banks’ noninterest expenses. Using data on U.S. bank holding companies from 1995 through 2016, we test whether noninterest expenses increase following the passage of the Dodd–Frank Act or in relation to the number of banking regulations implemented after Dodd–Frank. We analyze subsamples of banks above and below $10 billion in total assets and consider total noninterest expenses, salaries, non-salary expenses, and specific subcategories of non-salary expenses: legal, consulting, auditing, and data processing. Non-salary expenses for both large and small banks show a one-time increase after Dodd–Frank, while salary expenses tend to increase with regulations. The results indicate that total noninterest expenses for the banking system are higher on average by more than $50 billion per year compared to before the Dodd–Frank Act. Thomas Hogan was serving as the Chief Economist for the U.S. Senate Committee on Banking, Housing, and Urban Affairs. For helpful comments and suggestions, the authors thank Nicholas Cachanosky, Robert DeYoung, Joshua Hendrickson, Travis Hill, W. Douglas McMillin, Neil R. Meredith, two anonymous reviewers, and session participants at the Southern Economic Association annual conference and the Research Seminar on Financial Markets Regulation by the Institute of Humane Studies and the Mercatus Center. Lux, M., & Greene, R. (2016, April 14). Dodd–Frank is hurting community banks. The New York Times. http://www.nytimes.com/roomfordebate/2016/04/14/has-dodd-frank-eliminated-the-dangers-in-the-banking-system/dodd-frank-is-hurting-community-banks. Accessed 14 March 2019. 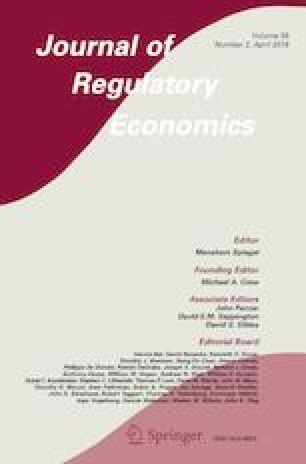 McLaughlin, P. & Greene, R. (2013, July 19) Did deregulation cause the financial crisis? Examining a common justification for Dodd–Frank. https://www.mercatus.org/publication/did-deregulation-cause-financial-crisis-examining-common-justification-dodd-frank. Accessed 14 March 2019. McLaughlin, P., Reese, C., & Sherouse, O. (2016, February 4). Dodd–Frank and the federal reserve’s regulations. http://mercatus.org/publication/dodd-frank-and-federal-reserve-s-regulations?utm_source=Email&utm_medium=newsletter&utm_campaign=FMWG. Accessed 14 March 2019. McLaughlin, P., & Sherouse, O. (2015, July 20). The Dodd–Frank wall street reform and consumer protection act may be the biggest law ever. https://www.mercatus.org/publication/dodd-frank-wall-street-reform-and-consumer-protection-act-may-be-biggest-law-ever. Accessed 14 March 2019.